Pure and clean water is foundational to the creation of sustainable development. Without the benefit of water, sanitation, and hygiene, communities falter. Real change is lasting change that impacts communities now, and for generations to come. from a life where struggle, hardship, and disease are everyday occurrences, to a life where, vitality and education, livelihood, prosperity, and hope become possible and individuals can dream of and achieve greater things. But what does it mean to have clean water? Clean water is not always safe water and safe water is not always crystal clear. It may just be a matter of terminology, but it is important to know the goal of our water treatment efforts. There are real, measurable benefits, to the individual and to society, of having a dependable source of clean water. Those benefits reach all the way from the level of the individual, to the family, and to the community, and to society as a whole. Click here to learn more about "The Benefits of Clean Water”. When we talk about sustainable development, we are really talking about creating change that lasts. When people need clean water, they don’t just need it for today or next week or next year. They need a dependable source of clean water that lasts for years and generations to come. Click here to read more about "What is Sustainable Development?" Development goals can not be temporary goals. Development must not be only material. It must be transformational! Transformational goals are long-term, life-changing, community-changing, and world-changing goals. How we perceive the causes of poverty directly impacts the way we go about trying to alleviate it. What are some things required for real lasting change to take place? 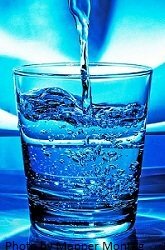 Click here to read more about "Transformational Development"
A large assortment of clean water technology is available, but is all technology appropriate and who decides what is appropriate? "Needs assessments" may not be the best first step in determining what is appropriate. It is important to know what assets a community and a people already possess, what they have accomplished in the past, and what gifts and skills they already have if we are to determine the proper role of technology. Technology is never the whole answer when it comes to creating lasting change. Click here to learn more about the proper role of "Clean Water Technologies"
Return to "Home" from "Pure and Clean Water"